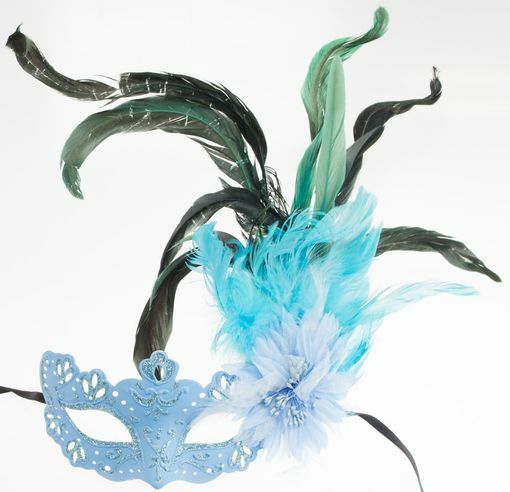 Colette feather eye mask is great for any masquerade event. Mask is hand painted with large feathers on left side of mask. Comes with black ribbon ties. Color blue.